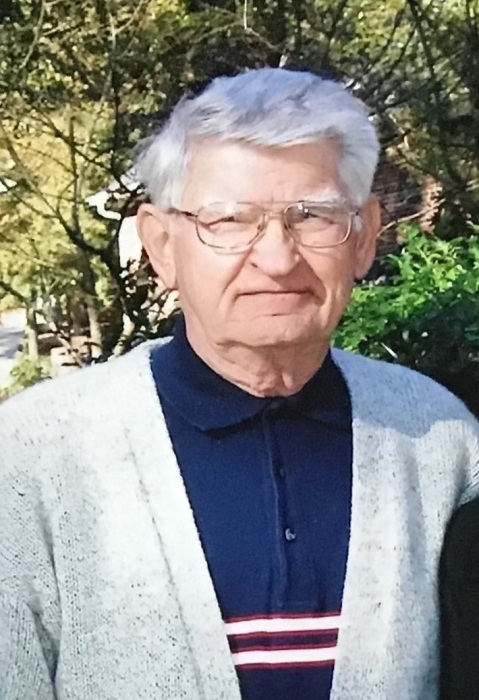 Patrick Edward Waack, age 89, formerly of Burr Road, Wauseon, passed away Jan. 22, 2019 at his home in Aiken, SC. He was born July 4, 1929 in Saginaw, Michigan to the late William and Mary (Moore) Waack. He married Lois (Longberry) Waack on August 8, 1949 and she proceeded him in death in May 2007. Pat was the Operations Supt. for the Toledo Edison Co. for over 43 years, retiring from the Wauseon office. He was active in Wauseon Exchange Club, serving as president in 1977, and was a member of the Wauseon Elks Lodge. He enjoyed his family, a variety of sports and playing Bridge. In his later years, he took great pride in his rose garden and making stained glass. Following his retirement he and Lois relocated to Aiken, SC in 1997. Besides his wife, Lois, Pat was preceded in death by two sisters, Margaret LaRue and Marilyn Schupp, a brother, William Waack; daughter, Connie Waack Stevenson, and grandson, Brian Waack. Pat is survived by two sons, Jeffrey (Penny) Waack of Wauseon, and Steven (Lori) Waack of Aiken, SC; grandchildren, Monica (Andrew) Parker, Adrienne (Chad) Oxendine, Jennifer Kraegel, Christopher Stevenson, Kendra (Jason) Batdorf, Hayley (Justin) Baldwin and Whitney (Nick) Lavinder; 19 great-grandchildren, two sisters-in-law, Diane Waack of Denver, Co., Fran Longberry of Findlay, and numerous nieces and nephews. Public visitation with the family will be held Saturday, February 2, 2019 from 1:00 – 3:00 PM at Barnes Funeral Chapel, 5825 St. Hwy 109 in Delta. A celebration of Patrick’s life and luncheon will follow at the Wauseon VFW Post #7424, 133 N. Ottokee St., Wauseon Ohio 43567. Graveside services will be private at Ottawa Hills Memorial Park in Toledo at a later date. Those planning an expression of sympathy are asked to consider The Ronald McDonald House Charities of Amarillo, 1501 Streit Drive, Amarillo, TX 79106, or the charity of your choice. Online condolences may be sent to the family through our website at www.barnesfuneralchapel.com.